Do we have to get married in the civil office? I really want to get married on Saturday can I do that with you ? Can I choose my own readings or can I make up a reading to be a poem or a story about us? How long does the wedding ceremony last ? 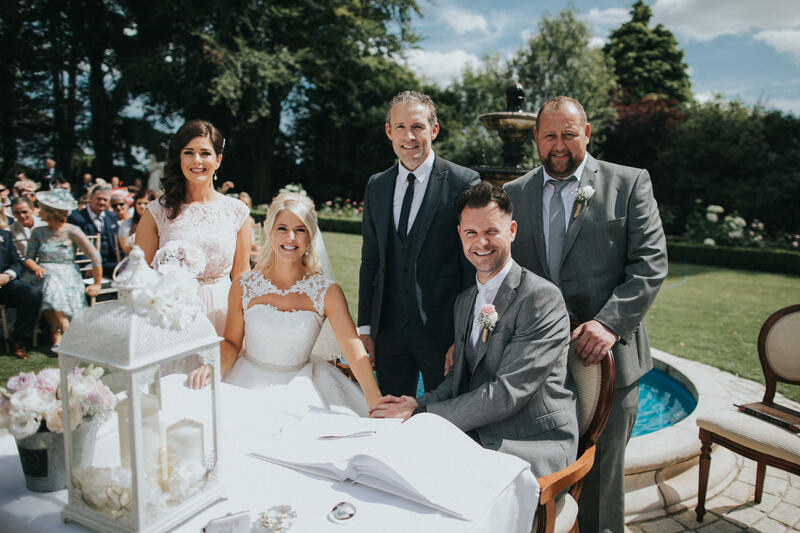 Can you perform the ceremony in any county in Ireland ? Let us know when you are getting married and we will show you how we can help your day flow with ease. Let our experience be yours. 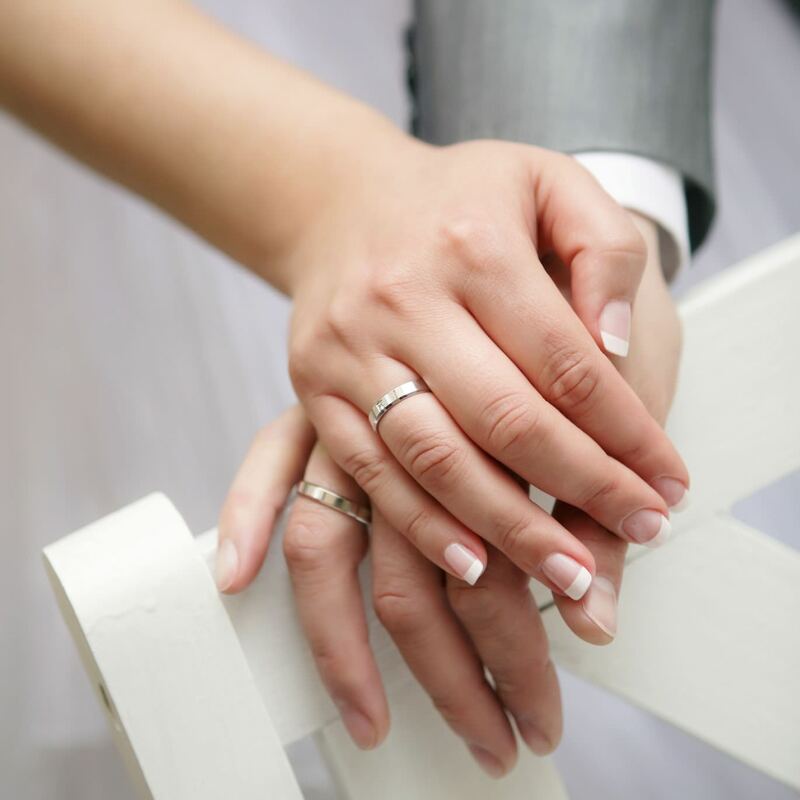 In the Republic of Ireland couples must give three months notice of their intention to marry in writing to their local registrar. However, on November 5th 2007, the new requirements of the Civil Registration Act, 2004 came into effect. This requires that all couples must give three months notice of their intention to marry to any civil registrar in person. In order to do this couples must contact the registrar’s office beforehand to make an appointment. Tel: +353 (0) 90 6632900 or LoCall: 1890 252076. Ronan and I would like to thank you for officiating our wedding in Brooklodge. 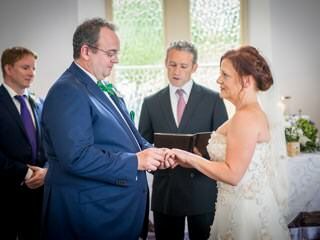 Brian, you blended the perfect amount of light-heartedness into our ceremony and certainly kept the nerves of the Bride and Groom in balance. The words you spoke over the ceremony truly brought through the love that Ronan and I share. Your warmth, friendliness and fun personality created a very special day for us. Thank you so much for doing such a beautiful ceremony. You were really fantastic and made the whole process relaxed and enjoyable. We have been recommending you to everyone we know getting married, and can’t thank you enough! 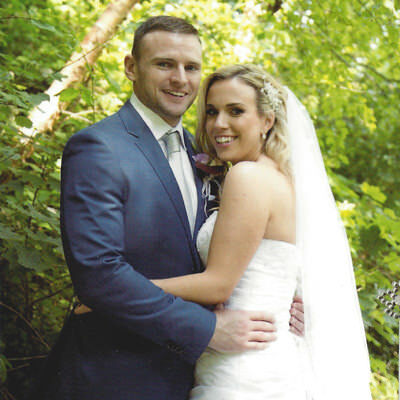 Hi Brian Just a quick email to thank you so much for conducting such a perfect ceremony for us last Saturday. It was just what we wanted, the guests felt at ease and your light hearted attitude raised a lot of laughs but you were also serious when you needed to be (sounds just like Dave and I!) All of our guests said how fantastic you were. Thank you also for your fantastic communication throughout the planning of our wedding. Thank you so very much. Dear Brian, Thank you so much for the fantastic way in which you conducted our wedding on Saturday. It was absolutely perfect. You officiated with such warmth, wit and sensitivity and created the perfect mood. You were also a welcome calming influence on my over-emotional tendencies! We had a magical day and have had so many compliments on the ceremony - all thanks to you. It was beautiful. You helped create a memory that we will cherish forever. Our grateful and heartfelt thanks. You Wedding Day will be one of the best experiences of your life. Let us guide you through the day.